There has been keen interest in the question of whether the wind industry should work with licensed land agents. I’ve had the opportunity to discuss these issues with Tony Seskus of the CBC and Danielle Smith on Newstalk 770 and I’d like to share some insights. As you may know, when landowners host wind energy turbines on their land, they sign option agreements and long-term leases that allow the wind developer to use their land. The lease payments associated with these agreements provide stable revenues to farmers and landowners, which can help to provide a cushion against crop yield variations, commodity pricing fluctuations and weather-induced incidents. It is estimated that landowners hosting turbines will receive an estimated $13.5 million in annual land lease payments for projects in the Alberta government’s Renewable Electricity Program. In Alberta, it is up to the wind energy developers to determine if they will work with licensed land agents to negotiate with landowners, or if they will negotiate with landowners directly. This is different than in the case of oil and gas development, where businesses are required under the Surface Rights Act to work with licensed land agents to engage landowners. While many wind energy developers choose to work with licensed agents – either as contractors or in-house – some choose to do the work themselves, often drawing on extensive experience in wind energy development in other jurisdictions. Either way, wind energy developers view their relationships with host communities and landowners as partnerships of utmost importance. 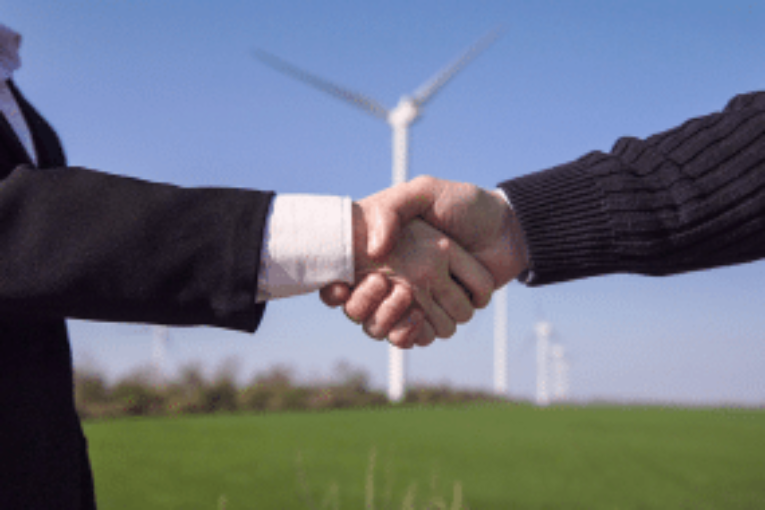 As with any legal agreement, if a landowner is considering hosting wind energy turbines on their property, it is prudent to engage the services of a lawyer to review the agreement and explore the implications before signing. I would also recommend reviewing a publication of the Farmers Advocate Office called Renewable Energy in Alberta – Negotiating Renewable Energy Leases, which gives a landowner advice on how to negotiate a potential land lease with a wind energy company. When it comes to the placement of wind energy turbines, developers do not have the same rights with respect to accessing land as those provided for oil and gas development under the Surface Rights Act. Landowners are able to veto the placement of wind energy turbines on their property. However, due to the impacts of infrastructure required to connect projects to the grid, wind energy developers have learned that it is in their best interest to engage with communities as a whole, in addition to the individual landowners hosting turbines on their land. For this additional infrastructure, such as substations or distribution and transmission lines, a right of entry process comes into play under the Surface Rights Act. This means that the voluntary decision by a landowner to host a power plant has the potential to have broader implications for the landowner and neighbours. Knowing that mutual understanding is what allows projects to move ahead successfully provides a strong incentive for all developers, with or without licensed land agents, to develop strong, trusted partnerships with communities and landowners. With more wind energy projects in the cards in Alberta, in Saskatchewan, and in other regions of Canada, the Canadian Wind Energy Association continues to provide resources that contribute to a meaningful dialogue between the wind energy developer and the community.